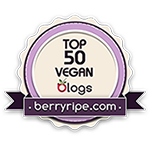 Welcome to my 3rd Vegan-Anniversary-Slash-Blogiversary Week! Have you entered my final giveaway, for Coconut Bliss ice cream? Be sure and do so before Friday night, when I will announce the winners. Here is another re-post, from November 2009. This one is a reminder from Alicia Silverstone, that enjoying and eating a plant-based diet really is cheaper and healthier than other diets. I'm back from California, and ready to post about my travels, but as it's just about my bedtime, I'm going to wait and save that post until later. Until then, however, here is something I ran across that caught my eye. When I originally became a vegetarian, I did it because I had just moved out on my own and I realized that I would save a lot of money by not purchasing meat. This quote from an article about Alicia Silverstone directly correlates with that line of thinking. This recession is causing everyone to re-examine his/her wallet, and perhaps spending less money on animal products is just one more way to keep the budget in the black. "At these times when we're all worried about money, it's easy to switch to a plant-based diet. This radiant health is available for all of us and it's affordable. Your grocery bill will be the same when you trade in for a plant-based diet. Over time, you'll see the doctor less and need less drugs, if any. Like cappuccinos and anti-acids and sleeping pills, it all adds up. It's a really good investment in yourself. It's really good for your wallet. It reduces your health care issues too. Because these doctors, like Dean Ornish and John McDougall have proven that a plant-based diet is so powerful, powerful enough to reverse or prevent these diseases. These diseases and conditions end up costing the country billions of dollars so it's also a contribution to rescuing the health care system, in a way."